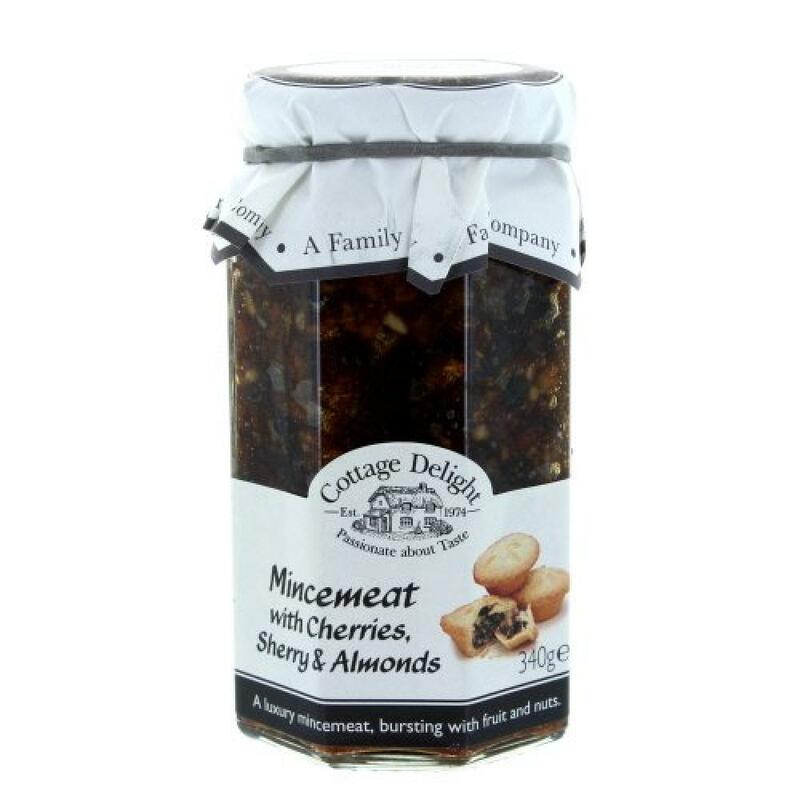 Cottage Delight Mincemeat with Cherries, Sherry & Almonds is made to a special mincemeat recipe and is bursting with festive flavour. It's the quick and easy way to make fantastic mince pies that the whole family will love. Simply fill a selection of pastry cases with a generous serving of this festive mincemeat and bake in the oven. Alternatively, this mincemeat is great for making homemade mincemeat lattice flans.